A deck is an expensive investment. You want to keep your deck in good shape for as long as possible. In order to do this you must maintain your deck on a regular basis. 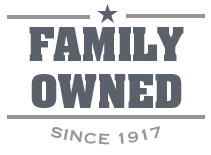 Maintaining it will help it to last long and avoid any major repairs that would be needed. So what does “maintaining” the deck involve? Here are some do's and don'ts to maintain your deck. You will want to clean your deck thoroughly once a year. The best time to do this is when the weather is dry and moderately warm. 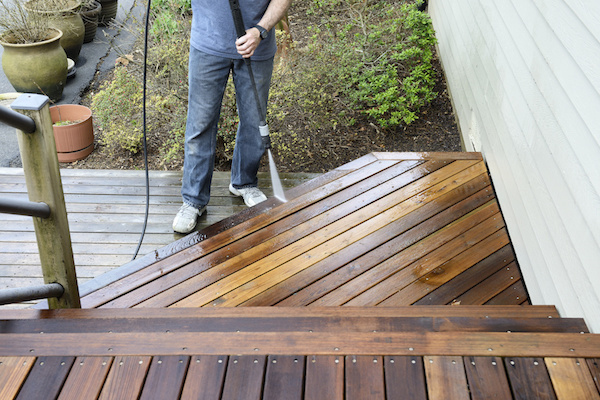 You will apply a deck-cleaning solution to your deck with either a roller or a sprayer. This will kill any mold and bacteria that has grown. Use a brush to scrub, especially in dirty spot where mold and mildew would be hiding. Any garden hose that has a nozzle with a hard-stream setting will work. If you choose to use a power washer, don't go overboard. Make sure you can and know how to handle the strength of a power washer. If you can't handle it, it could actually do more harm that good to your deck. Any cleaner that hits your shrubbery can harm or kill them. It is a good idea to make sure you cover any nearby shrubbery before you begin cleaning your deck. Use a tarp or a plastic sheet, covering the plants loosely to still allow air circulation. It is also important to not use chlorine bleach. If you use any kind of bleach, make check that it is oxygen bleach. Oxygen bleach won't wash out colors or harm plants if it gets on them, but it is still not suitable to be used on redwood. So if your deck is make from redwood do not use any kind of bleach on it. After you have cleaned the deck, it is a good idea to sand your deck before you seal it. You will have to wait at least 48 hours before the deck is fully dry. Once dry, use a pole sander with an 80-grit sandpaper. After sanding away any patches or rough spots, you can then seal the deck. Sealing the deck will help protect it from cracking or warping. If you use a clear sealer it will last longer that ones that are tinted. You don't want to use paint to seal your deck. It may look nice at first, but wears off very quickly. It will crack and peel. If you have paint on your deck currently, you will need to use a paint stripper or a sander to get rid of the paint, and then start the process again. Cleaning your decking on a regular basis is important. Your deck endures whatever Mother Nature delivers. You should try to prevent water damage throughout each season. Sweep away puddled water and any debris on your deck. During the winter, use a plastic shovel to remove snow and not a metal one. Keep the deck in good shape by repairing any damage you see to it. Let Sutherlands help you with all your building materials for the deck and what you will need to maintain it!